A 12-15 day 1,200 km ride. 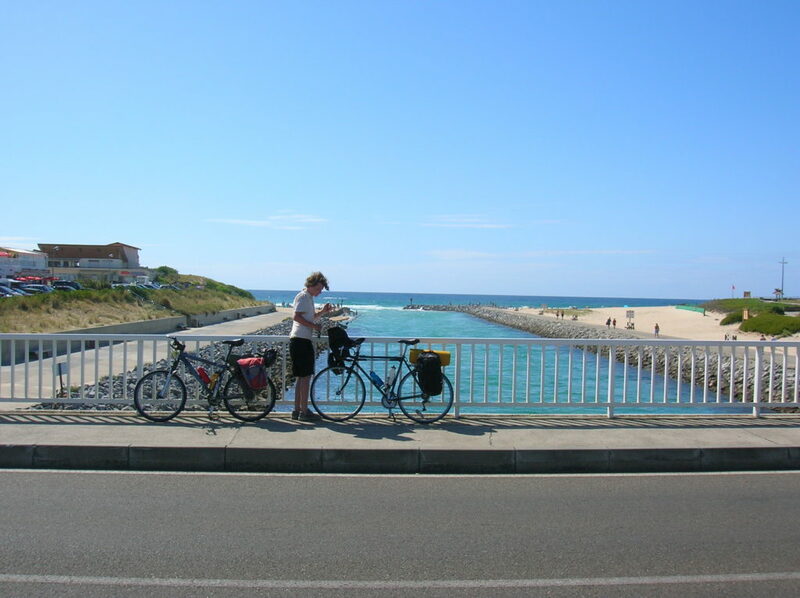 The route crosses Brittany and then follows the beautiful Atlantic coast of France – mainly flat, easy cycle tracks, with an abundance of beaches and campsites, plus great weather. 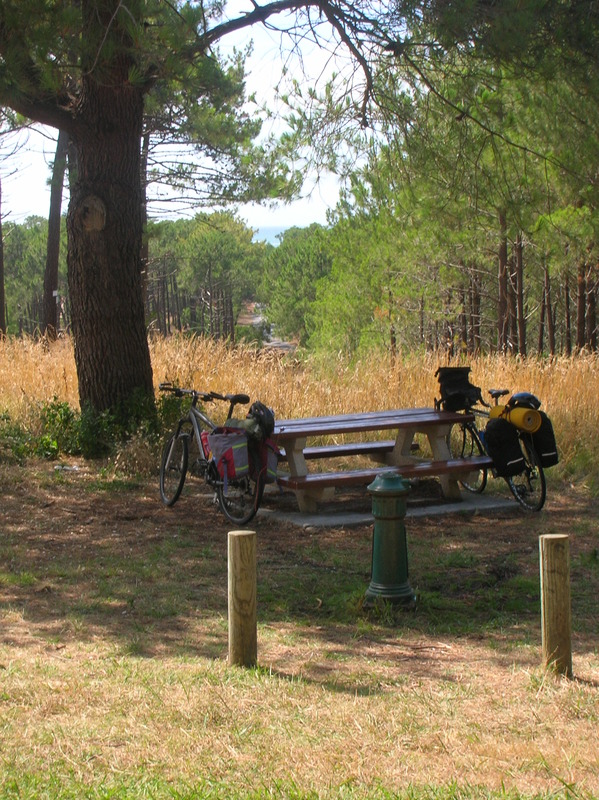 This route is the French section of the Eurovelo 1 – a long-distance cycle route that starts in northern Norway and finishes in southern Portugal so it is quite easy to extend it if you want to have a longer ride! 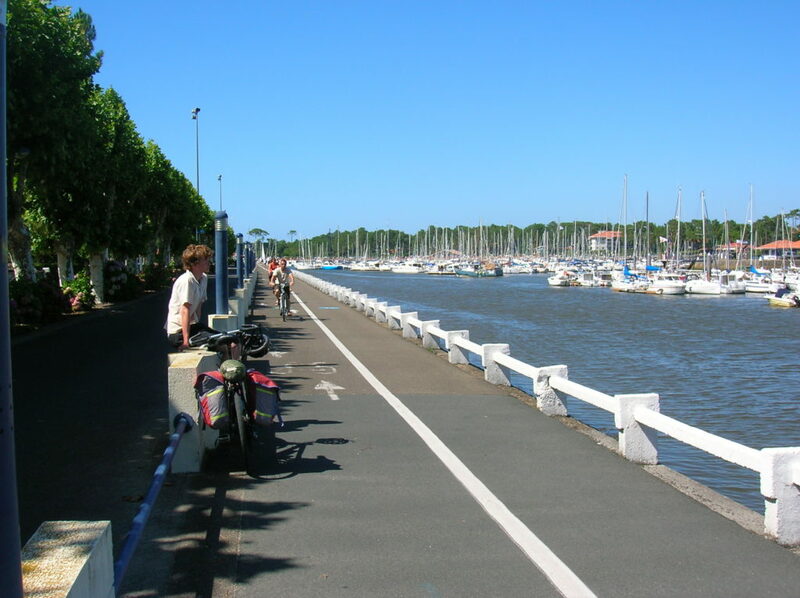 This stage traverses Brittany by a combination of lanes, cycle ways, forestry tracks, canal towpaths and finishes in the city of Nantes on the Loire. When I did this route we decided to ride directly from Roscoff to Quimper This involved more road riding and more hills across the centre of Brittany than the Velodyssey but it does mean that you get to the coast sooner. The inland route across Brittany looks good and is in keeping with the style of the rest of the route – mainly traffic-free and fairly flat. Nantes marks the intersection with the Eurovelo 6 route so if you want to head down the Loire – or follow the route to its end at the Black Sea over 4,000 km away -now’s your chance. 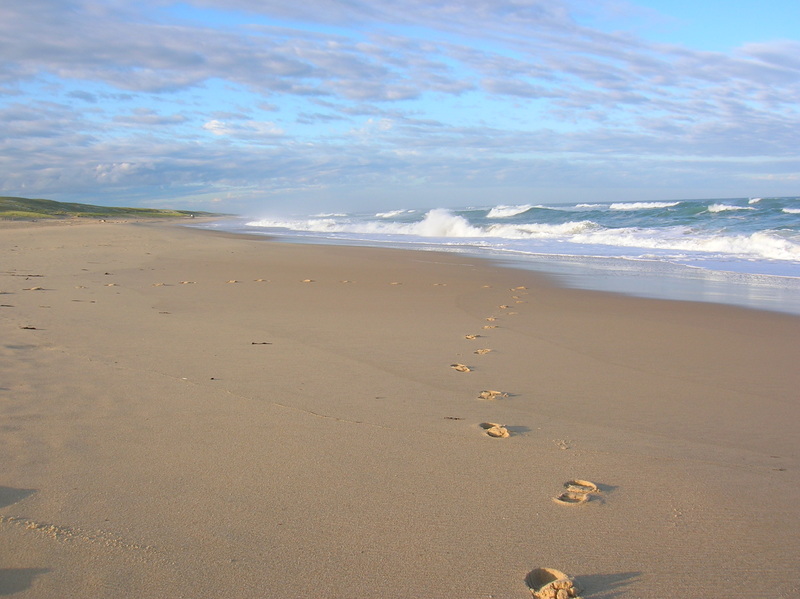 Initially the route follows the south side of the Loire estuary until you meet the coast. 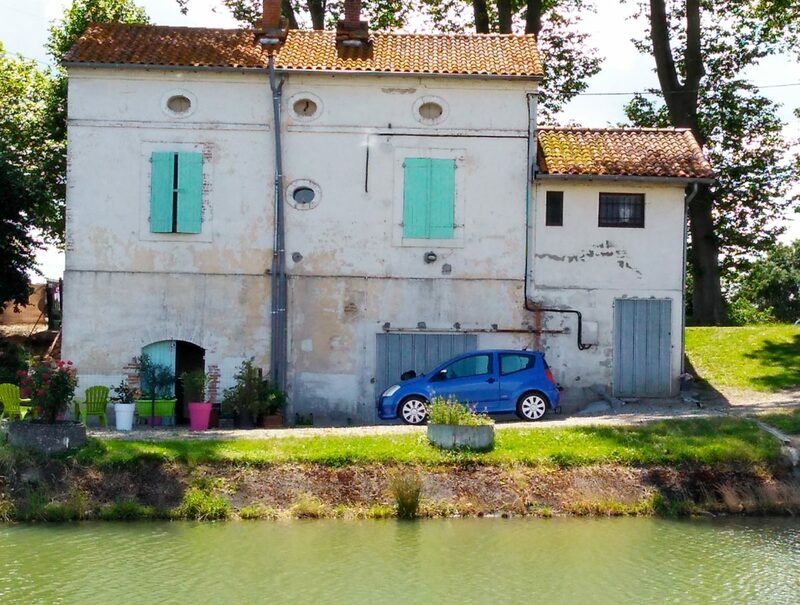 From here the remaining 800km to Biarritz are all along the coast, apart from the occasional inland diversions. This section to Royan takes in a mixture of small seaside resorts, small fishing ports, oyster farms, mashes and woodland all on the usual combination of small roads, lanes and cycle tracks – all fairly well signed. The towns of Les Sables and La Rochelle are also on route. La Rochelle in particular is a great place to have a rest day. 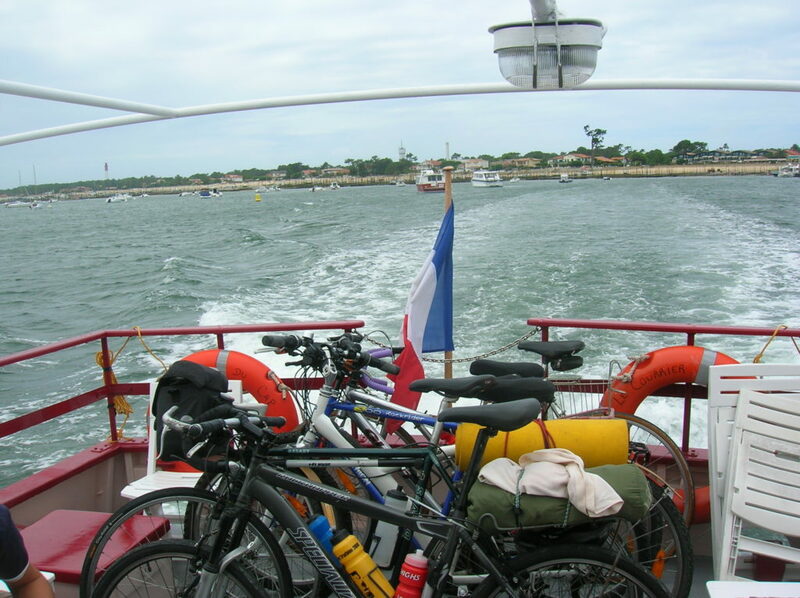 Taking the ferry across the Gironde estuary from Royan to Port Bloc marks the start of an almost continuous ride through the region of Landes with forest edging the beaches all along this coast until close to Hossegor. 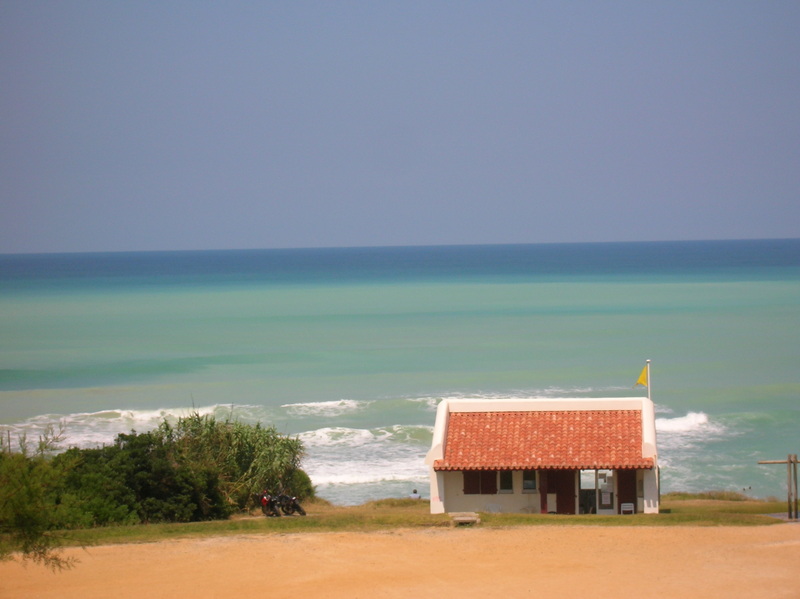 Although you’re not riding next to the beach, it’s only a few hundred metres away and there’s plenty of access points. On the map this section looks like a fairly long ride through forests with little variation. But it is actually one of the most enjoyable parts of the route – the changes of light and shade in the forest at different times of day, the proximity of the sea, the vast surf beaches all add to the experience. 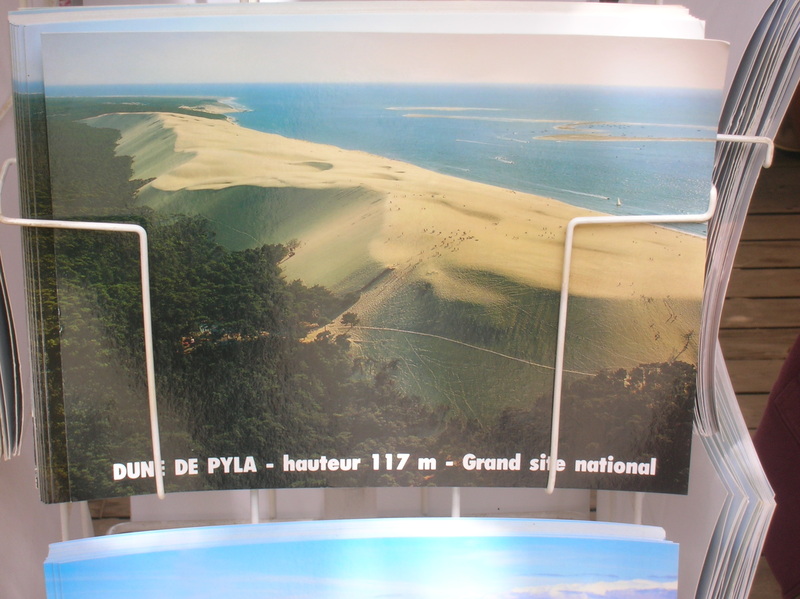 At Cap Ferret it is possible to take the ferry across to Arcachon instead of having to ride around the Bay of Arcachon . From Archachon the route carries on the south passing the Dune de Pilat – 117 metres high – which gives amazing views of the coast and then continues through the forests that line the coast. As the route approaches Bayonne and Biarritz you start passing through some of the big surf rersorts, such as Hossegor. Despite being fairly developed, this is still a great section of coast and the cycle tracks continues . 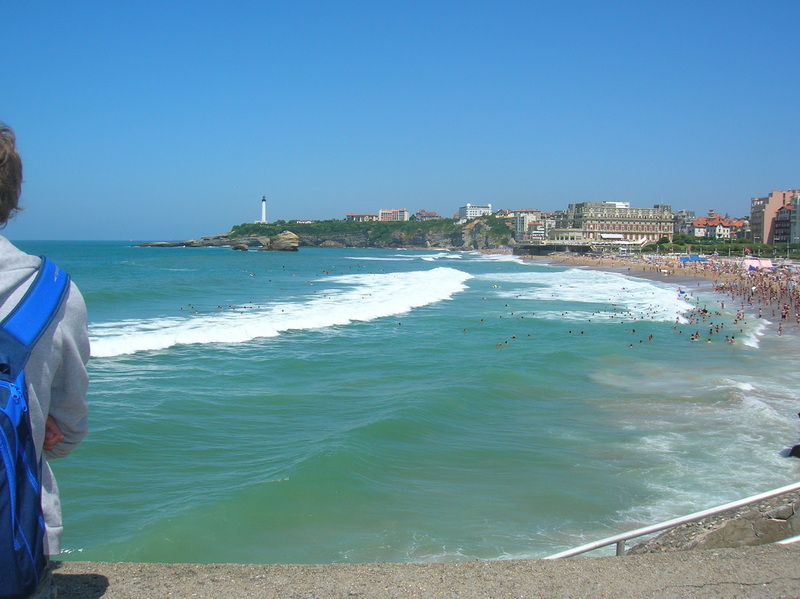 Bayonne is an interesting city to visit and has the main transport links – Bike Express Bus, main railway station, but Biarritz is the best place to finish – where the beaches meet the town . The Velodyssey http://www.velodyssey.com/ provides almost all the info you need. You need to register to access all the information on the site. The route is divided into 57 sections – each section has an interactive map with listings and contact details for campsites, hostels, hotels, bike shops, tourist offices, rail stations and local information. Travel. (Assume riding from north to south). Travel arrangements are fairly easy, with good ferry, bike bus and rail connections at both ends. Flying. Ryanair, Easyjet, Flybe all fly from Biarritz airport. 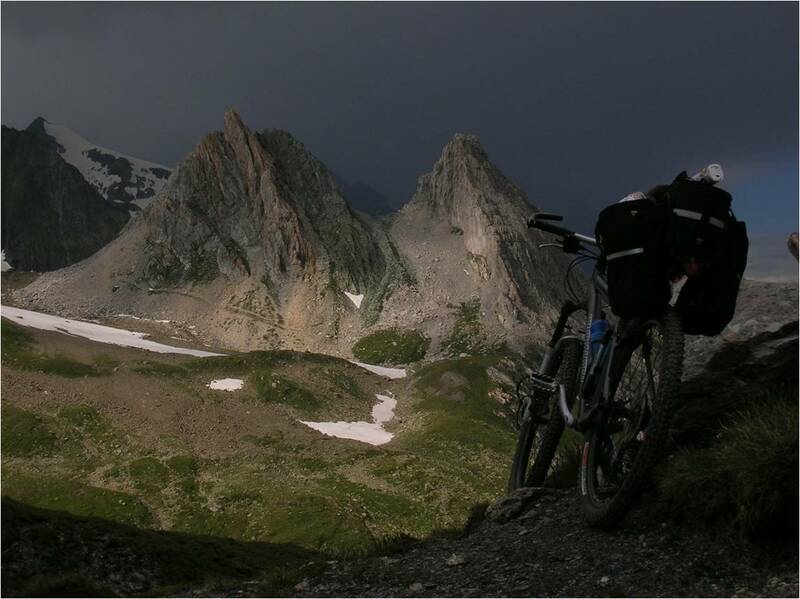 The airport is quite small and easily accessible by bike – no motorways or restricted roads to contend with. There are plenty of campsites all along the route – details given in the Velodyssey website – shown the interactive map for each of the sections http://www.velodyssey.com/. Some of the larger sites are very expensive as you pay for a large pitch regardless of the size of your tent – but there’s usually another site close by. Supplies are plentiful throughout the route as you’re passing through, or close by to, villages all the time so it’s easy to pick up food.